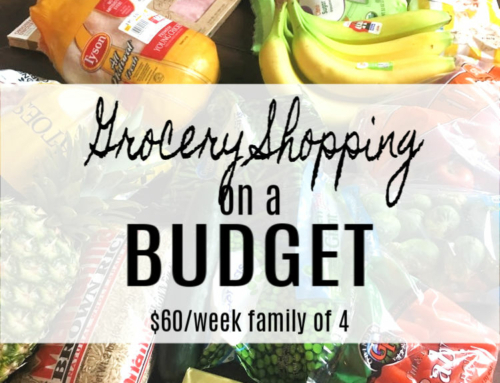 Learning how to save money on groceries is an important skill for families on a budget. 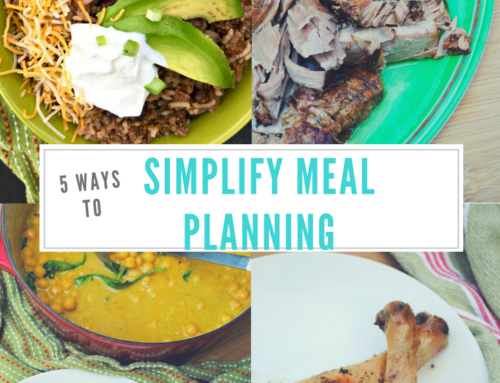 It can feel overwhelming trying to eat well and still save money on food. It is not impossible though, so take heart! Try my 14 tips for how to save money on groceries to start saving this week. 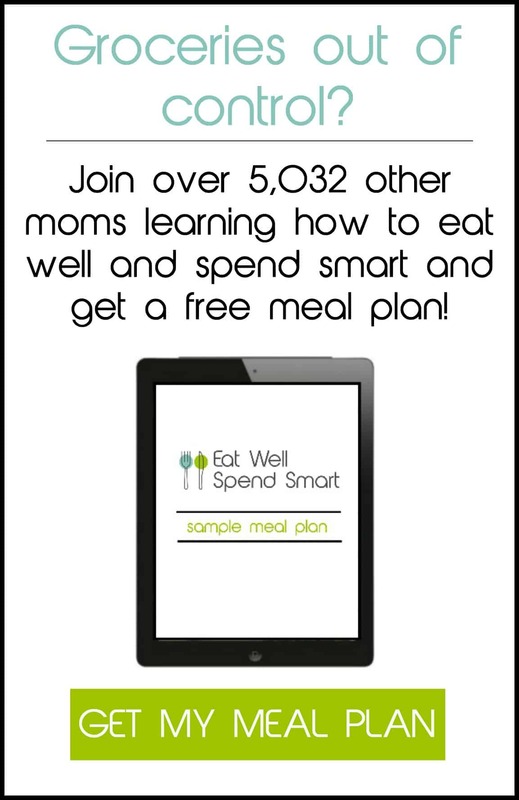 Are you on a budget and wanting to learn how to save money on groceries? You are not alone! One of the biggest complaints that I often hear when people begin eating well is that healthy food is too expensive. Many people feel like they can’t afford healthy food. While I do agree, healthy food can be expensive, so is just about everything else. We don’t have to be left without hope though. 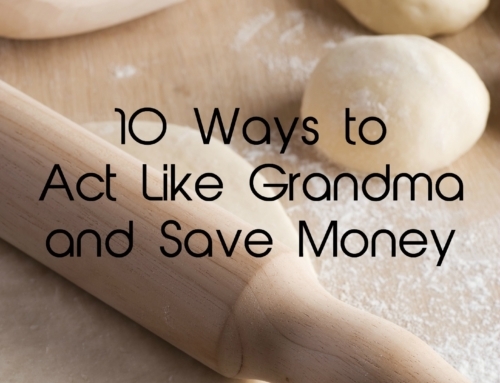 There are strategies we can use to reduce our grocery bill, and you are in the right place. I have dedicated this entire website to just that! 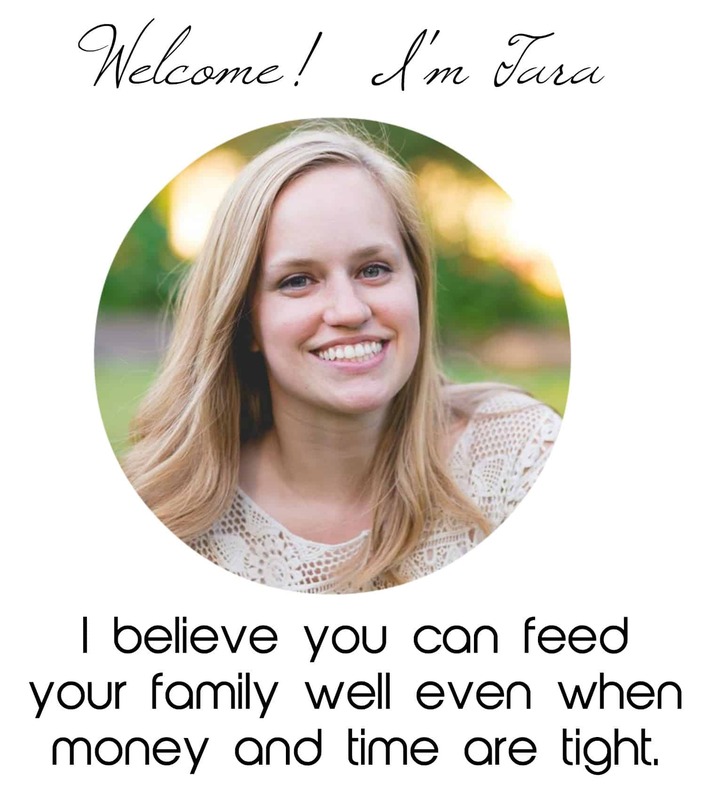 Here I teach you how to eat well even when money and time are tight. I am very frugal by nature and try very hard to pinch my pennies on just about everything. Our house is furnished with used items. We do a lot of DIY home projects. All our kids’ clothing are almost all hand-me-downs. We cloth diapered our babies. The food budget is no exception to the rule. 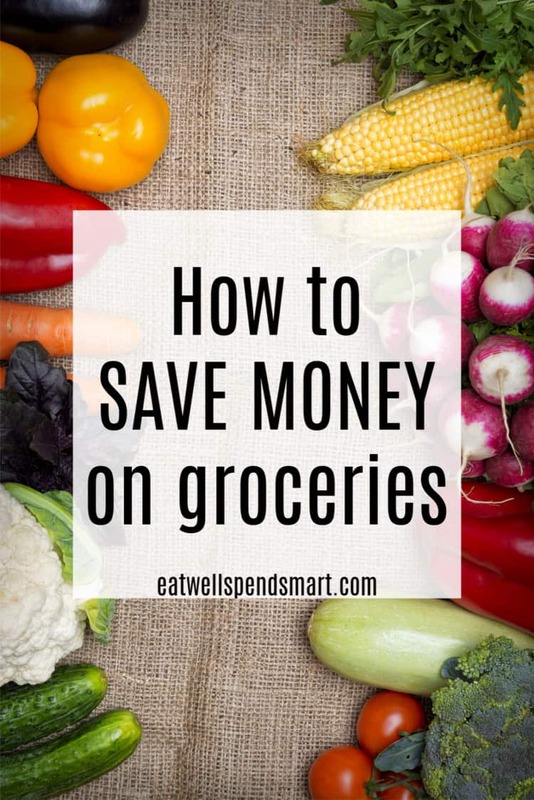 Here are my best tips for how to save money on groceries so you can afford healthy food for your family. Don’t bother with a lot of strange ingredients, new “super foods,” and the latest healthy packaged food. Most of those types of expensive obscure foods sit in my pantry and fridge unused and wasted. I’m not saying never try anything new, but for the most part stick to simple meals using simple ingredients. Civilization has been kept healthy for thousands of years on simple food. I trust the same to be true for my family. I like to have protein, carbohydrates, and fat in every meal with lots of healthy vegetables. A pot of beans, a roasted chicken, simple roasted vegetables, stewed greens, and lentil soup all are very humble foods, but incredibly delicious and satisfying. If you want to save money, meal plan. If I don’t have a plan, I spend WAY too much and then have a bunch of random ingredients that don’t go together and then still I end up eating out. Here is a post on how I meal plan. Again, keeping it simple is key. After you meal plan, make a list and STICK TO IT! Impulse purchases are where you get in trouble and really jack up the bill. If you don’t like to take the time to meal plan, try one of mine. Sauces, gravies, stocks and broth, breads, smoothies, yogurt, condiments, kefir, snack items, etc. are all common grocery items that can jack up the cost of food. 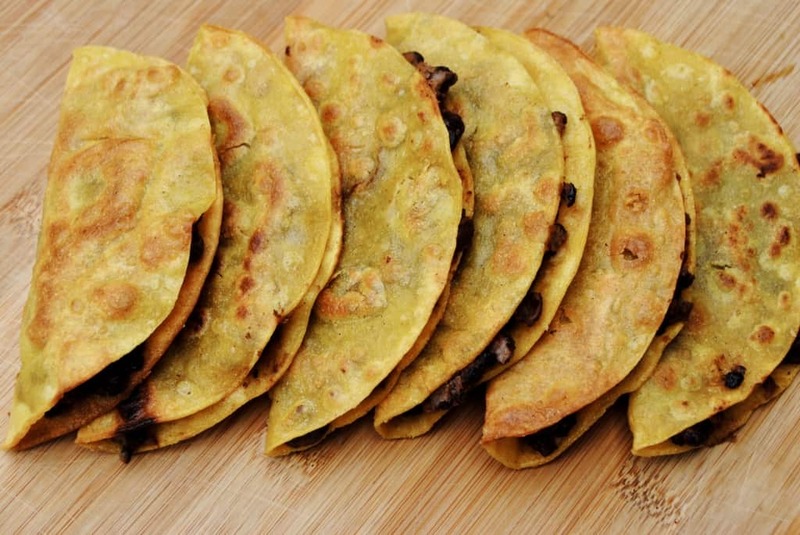 They can easily be made at home with ingredients in your well-stocked pantry. Get to learn the art of cooking from scratch and making something out of nothing. My mom was great at this! Big blocks of cheese, sides of beef and pork, bulk grains, bulk beans, gallon of coconut oil, etc are a great way to save money. Bulk is usually more expensive up front, but cheaper in the long run. For example, I was buying coconut oil for about $10 for a small jar. It was seriously taking a toll on my budget. I saved up and bought a gallon for $50 and saved a tremendous amount of money over the next several months. Also, consider buying bulk and splitting with a friend if you don’t have the money or space upfront. Here is a list of what we keep stocked in our pantry. Create a good stockpile by buying a little at a time for your pantry when those items are on sale. By having a well stocked pantry, you can even have one meal a week that you don’t specifically “buy” for that week. 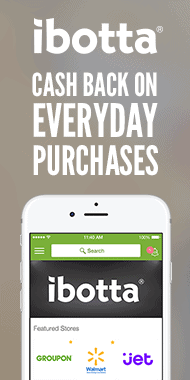 Simply shop from what you already have at home. This will cut down on costs tremendously. Honestly this is the best way to save a buck. Consuming less and producing more is always going to be a money saver. Start small and have fun with it. 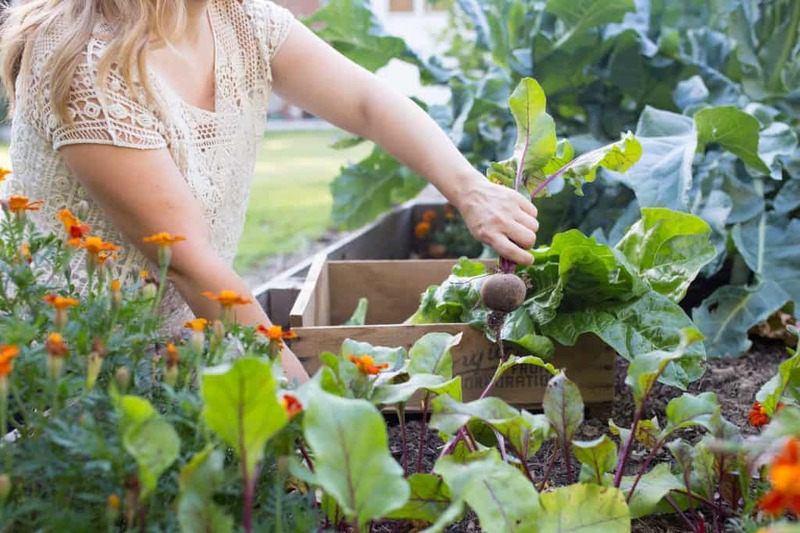 Even if you don’t grow your own food, you can learn to preserve the bounty from your local farmers. I pretty much freeze everything, but canning, fermenting, and dehydrating are other great options. I got a dehydrator for Christmas this year and can’t wait until the summer when I can start using it more. Read more about how to plan a garden. Please don’t ever let your produce go bad if for some reason you don’t use it all. Learn to use them and reduce waste. Add them to soups, eggs, casseroles, etc. If nothing else, put some in a smoothie or juice them. You can also freeze produce before it goes bad. Bananas are a great one to put in the freezer. Peel, slice and freeze. You can add them to smoothies, make “ice cream”, or banana bread. Also eat your leftovers or transform them into something new. If you have leftover rice, make fried rice another night. If you have leftover mashed potatoes, make potato cakes or add the potatoes to a stew to thicken it. I’ve written entire posts on stretching meat and protein and making the most of your whole chicken. I use this technique frequently with all kinds of things. Roast or stew a whole chicken and use the meat and bones for 3-4 different meals. I like to take the de-boned meat and put it in the freezer in 1-2 cup portions. They are great for quick fajitas, stir fry, soups, quesadillas, casseroles, salads, etc. I do the same thing with beans, beef roasts and pork roasts. Beef roast can be a delicious roast beef dinner one night, bbq beef sandwiches another, and vegetable beef soup the last. 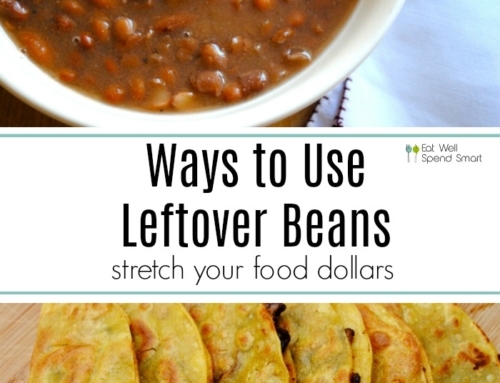 Pinto beans can be a pot of beans, greens and cornbread one night, Mexican burrito bowls another, and pureed for refried beans on the last night. All of this can be frozen if you don’t feel like eating the same protein multiple times in the same week. Since quality meat is a big splurge for us, eating meatless a couple of times a week is a great strategy to stretch the budget. 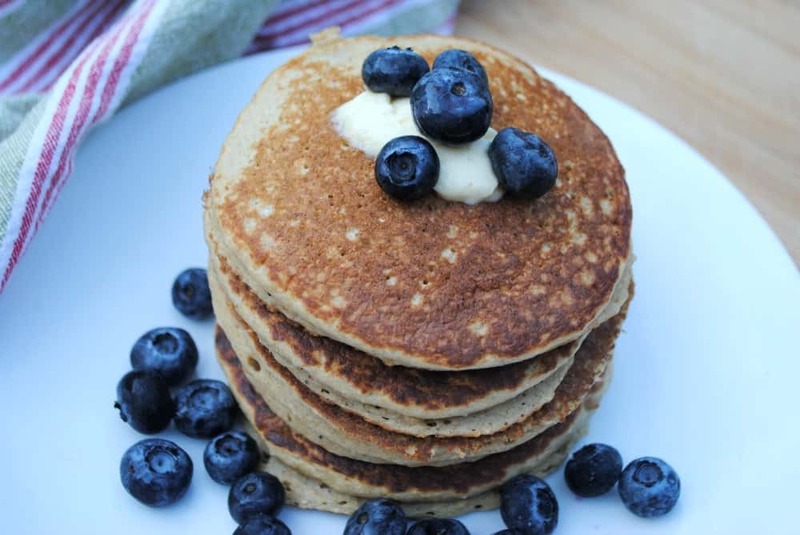 Meatless dishes that we like are pizza, beans and rice burrito bowls, veggie soups, omelets or frittatas, bean soups, pasta dishes, quesadillas, stir fry and fried rice, salads, beans, greens and cornbread, grilled cheese sandwiches, chickpea curry, veggie paninis, and breakfast foods like pancakes, biscuits, eggs, oatmeal. Produce in season not only is better for you, it is much less expensive. Strawberries from the supermarket in the middle of winter are going to cost $8-9. In the spring at my farmer’s market, I can get them for a couple of dollars for a large container. Eating in season is definitely easy on the pocketbook. In the fall, you can find winter squashes for around a dollar each, which can be turned into a fantastic side dish or stuffed for a meal all on its own. Eggs, dried beans, lentils, rice, oats, potatoes, cabbage, greens, squashes, sweet potatoes, onions, garlic, lettuce, carrots, bananas, and canned salmon are some of my favorite healthy cheap eats. I heavily rely on most of these items weekly in my meal plans. I wrote an entire post on this. Meat, seafood, dairy, maple syrup, raw honey are some of my more pricey items. I definitely don’t want to skimp on the quality of these foods, so we use buy fewer of these items, less often, and maximize them to their fullest potential. Another important thing to remember is that it’s not that you can never eat pricier items, but they must be balanced with less expensive items in the same week. This is my biggest pet peeve. People say buying healthy food is so expensive, but most of the time they are still buying junk food along with the healthy food. If you are still buying cookies, chips, granola bars, blue yogurts, sodas, and energy drinks, adding healthy food will be expensive. I have no room in my budget for both. I choose to buy quality food with our hard earned money. The junk, to me, is a waste. My kids get eczema, irritable, and snotty when they’ve had too much junk. Why would I want to spend my money on food that contributed to those things? In my mind, it’s not worth it. Also beware that just because something is labeled organic, natural, heart healthy or whatever, it does not necessarily mean it’s healthy. There is a lot of organic processed junk out there that I don’t bother buying. It is expensive and not good for you. 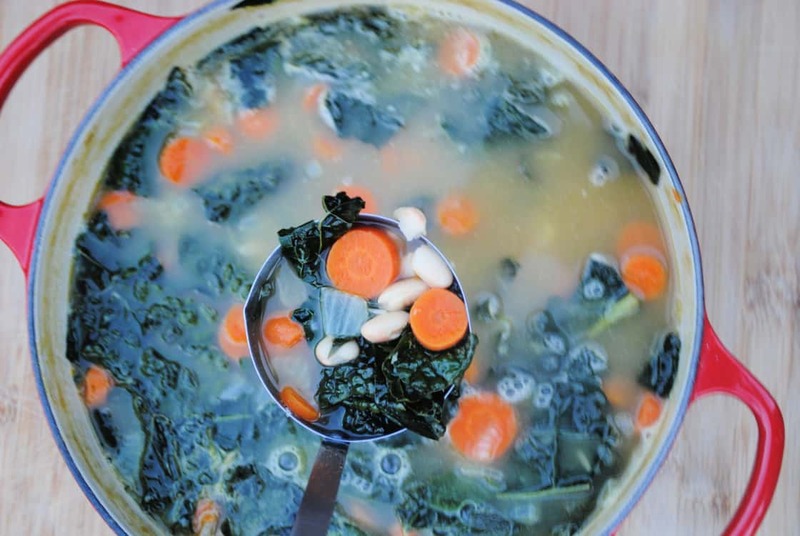 You don’t have to shop at Whole Foods or specialty stores to find healthy food. While I love them, my bill at Whole Foods is often double what I would spend elsewhere for similar products, and I get swept up in all of the fun finds there. I often shop at Aldi and have great success finding healthy food. They are adding more and more specialty items too for those with food allergies. I love that! Let’s learn from each other. 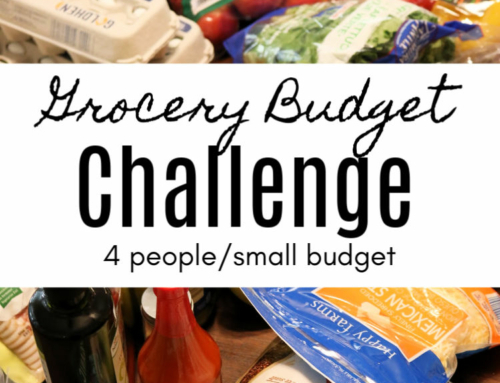 What are your best tips for how to save money on groceries? Leave your comments below.